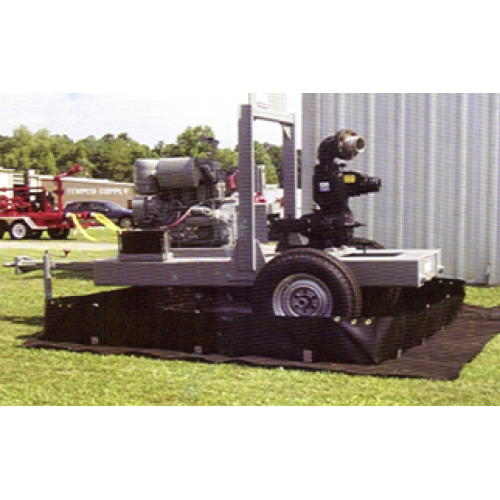 HENEK Manufacturing offers a complete line of portable spill containment berms to protect the environment from hazardous contaminants. Applications include portable power generation, roll-off containers, tanker trucks, FRAC tanks, wash pads, emergency response and drum storage. Our containment berms are manufactured with 12 inch bracket supported sidewalls from high quality 40 mil polyethylene. They are UV and chemical resistant, flexible, lightweight, and durable. Containments are available in standard and custom sizes for short or long term rental. Standard berms are 12ft wide and hold from 50 to 5000 gallons.